Our unique homes are built utilizing the finest designers, craftsmen, and materials to ensure they are filled with the features our clients are looking for. You can find our homes in prestigious neighborhoods such as Troon Country Club, Scottsdale Mountain Estates, Scottsdale Country Club, Hawks Canyon, and Summerhill of Ahwatukee, just to name a few. Building a new home is a very personal process. We strive to create and construct a home that is as unique and creative as the individuals who live in your home. Our years of expertise and experience help us add to those final touches with precise detail and the amazing quality that will make your home stand above the rest. 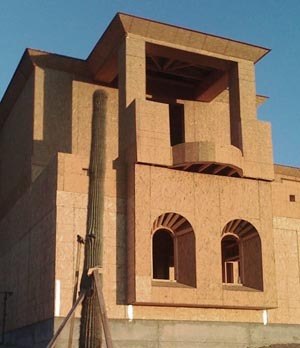 The building of your luxury home is a very exciting and personal process. Our clients' comfort level is one of our most important concerns. From the very beginning, we define details and expectations with our thorough consultations. Defining the scope of a project is crucial to assure complete satisfaction. We will discuss a wide varity of items including the goal of build, lot assessment, home plans and designs, preferred materials, building timeframe, and budgets and constraints. We anticipate all aspects and allocate flexible and accomodating rates to make this a memorable and enjoyable experience! Please call today to set up your free consultation! click on the Contact button above to sign up today!